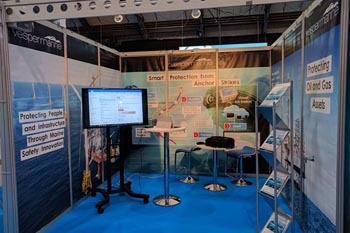 RCP joined Mark Alani on the Vesper Marine stand, Subsea Expo 1st-3rd Feb at the AECC. Vespers Virtual AIS clearly identifies marine hazards and makes them visible without the need for costly infrastructure such as marker buoys. The system can be used to prevent collisions and protects marine assets such as subsea cables, sites of scientific interests or marine exclusion zones. 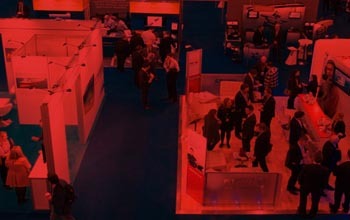 Subsea Expo was out first opportunity to publicly demonstrate the system which led to a number of positive enquiries. Ben Knight MD of RCP headed off to Egypt for the EGYPS exhibition from 14-16th Feb. This was the first time we had exhibited here and coincided with the signing of a new agent’s agreement with Drexel Oilfield Equipment who will now actively promote and market RCP products and services in Egypt. As February was drawing to a close Adam O’Donnell from the Singapore office took the short trip to Australia to exhibit at the AOG conference 22nd-24th Feb. As with other Oil & Gas shows we have recently attended Adam noted a reduced footfall however this played to our advantage allowing Adam the opportunity to meet with other suppliers and service companies also exhibiting and begin to build future working relationships. If you’d like to hear more about any of the RCP products or how Vesper Marine can protect your subsea assets then just drop us an email.